Shrimp is underrated. It's the quickest, most versatile protein in your kitchen. You can smother it in cheese sauce and pasta, or toss it on the grill in a light and zesty dressing. Here, 50 surprising recipes that prove our point. Close your eyes and you’re on a tropical vacation. Low-maintenance, mess-free and totally delicious. 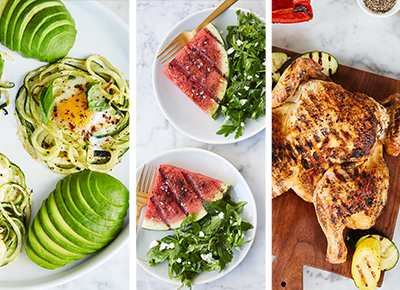 Lose the carbs but keep the flavor. Eating solo tonight? Try this. All you need is one pan and an oven. Black rice is packed with iron and antioxidants. It’s the seafood version of engagement chicken. Coterie member Ali Maffucci knows the key to our hearts. It’s a proper Southern feast. 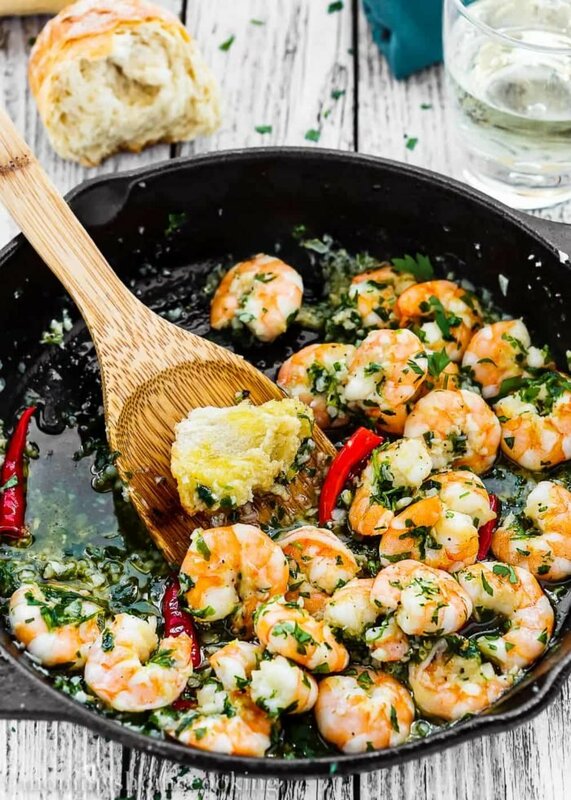 Coterie member Phoebe Lapine presents a mess-proof way to cook seafood. Marinate on Sunday, toss them on the grill on Monday. Love spicy food? This one goes out to you. Way more interesting than chicken salad. Bring it on, busy weeknights. Tasty is always in season. Make a double batch of the dressing and thank us later. We never get tired of hearty bowls. Coterie member Gaby Dalkin proves that you can throw everything on the barbecue. They start with frozen shrimp and veggies. Half the calories of a bowl of pasta. Paleo (though you’d never guess). You totally have 15 minutes to make this. Thanks to Coterie member Dev Amadeo, we know what we’re cooking this weekend. Ditch the takeout. Trust us. Your kids just might love these. Your white tablecloth is optional. A party in our mouth. Damn, gemelli, you’re looking quite fine. Isn’t it time to throw a cocktail party? Um, we’ll be serving our spaghetti on platters from here on out. Sop up the sauce with baguette. Eat your heart out, lobster. So tasty, you barely need a sauce. This has “family friendly” written all over it. It's on your table in 15 minutes.